At Ace Outdoor Restoration in Austin, TX, we take pride in our ability to bring you quality fabrics that are built to withstand the elements. Take a look through our gallery and get inspiration for your outdoor furniture restoration. 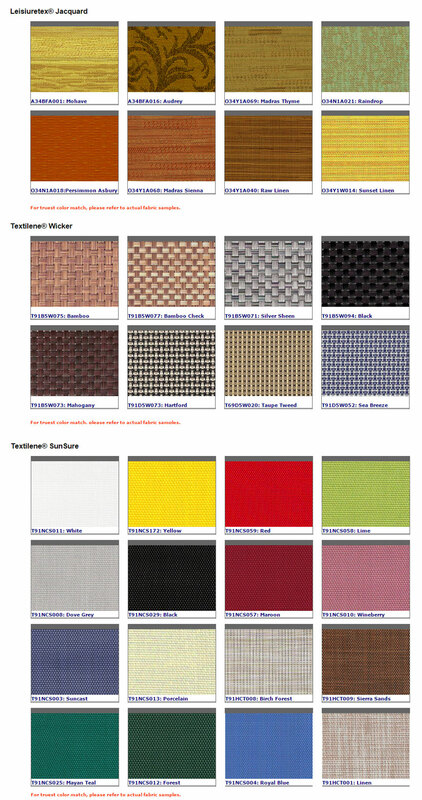 Feel free to contact us today for more information about our fabric selection.